The Ultimate Volume 3-Step System that everyone’s talking about. Three generously sized trial products in a travel bag perfect for Swell first timers, holiday hair or for your gym kit. 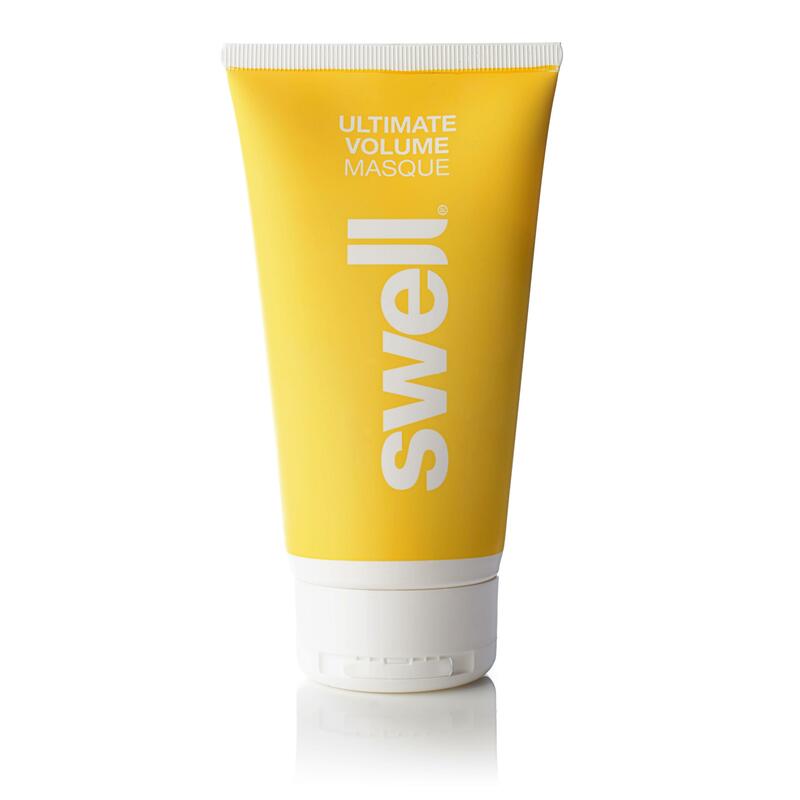 Plus Swell’s award winning Ultimate Volume Masque (50ml), the essential product for coloured, processed or just extra dry hair for only £5 (normally £10). Ultimate Volume Root Complex 25ml. A complete set of Swell hair care products to bring ultimate volume to fine, limp and thinning hair. If you have coloured or processed hair substitute our standard conditioner for Swell's Masque for the first few washes. Then switch back to once a week to keep coloured & processed hair fuller, thicker & stronger. 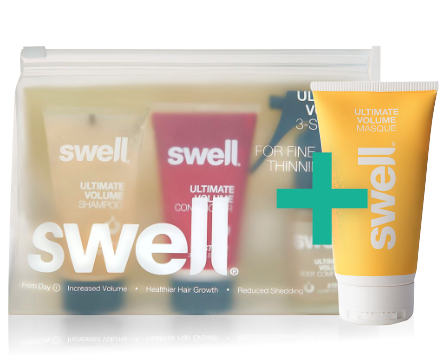 Ultimate Volume 3-Step System The award winning full sized Swell 3 Step System for fine, limp & thinning hair.